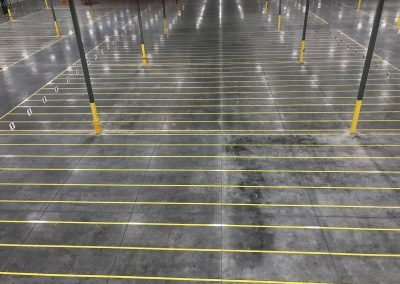 Warehouse markings help improve the safety and functionality of your warehouse. 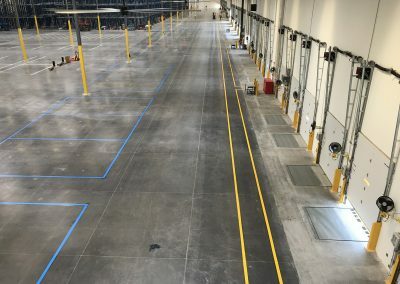 You can rely on Stripe A Lot’s professional approach and experience to evaluate and apply what is best for your facility according to your requirements with materials that will hold up to the most abusive use and traffic. Product Stalls or Pick lanes. 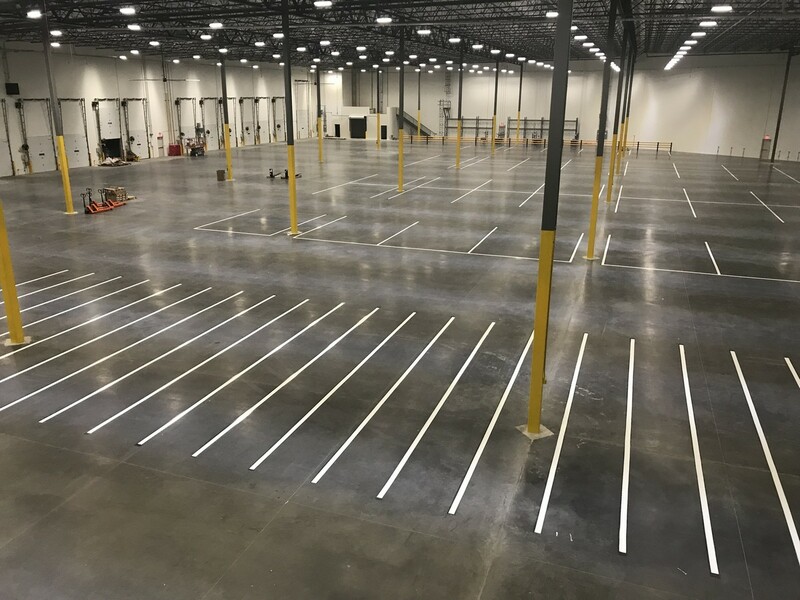 Striping your facility requires close communication and execution, Stripe-A-Lot has the experience and personnel capable of coordinating with your on going operation to get your project done efficiently, and in phases, if required. We have the experience working along with engineering staff and facility managers and can provide a full disclosure describing the method of procedure (MOP), if requested. 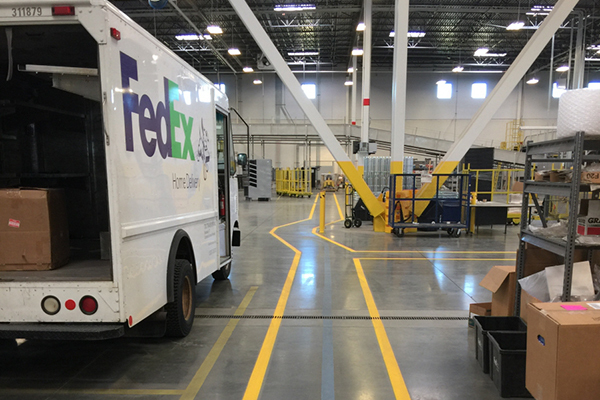 We can layout, prep the surface and apply epoxy striping (or other materials) in a proficient and professional manner. 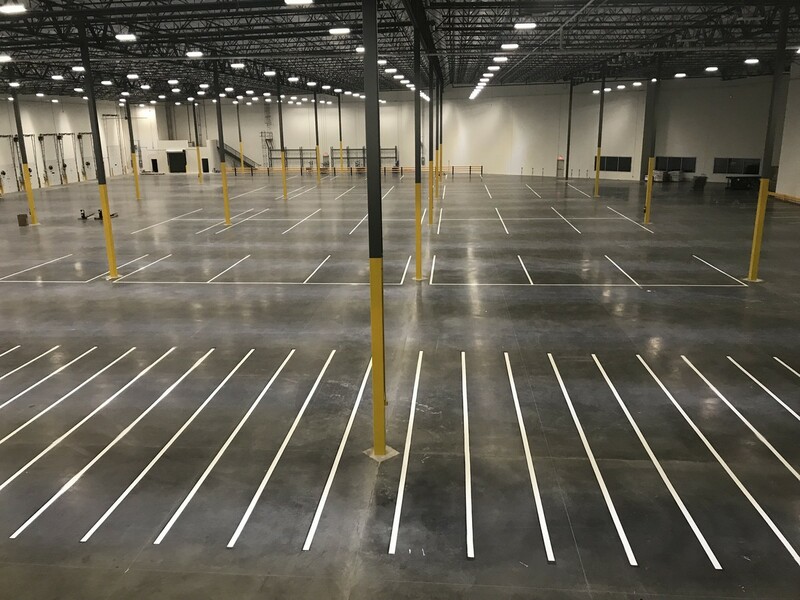 In ideal conditions, our work methods and procedures allow us to complete up to 5,000 to 10,000 linear feet of layout and application per day. 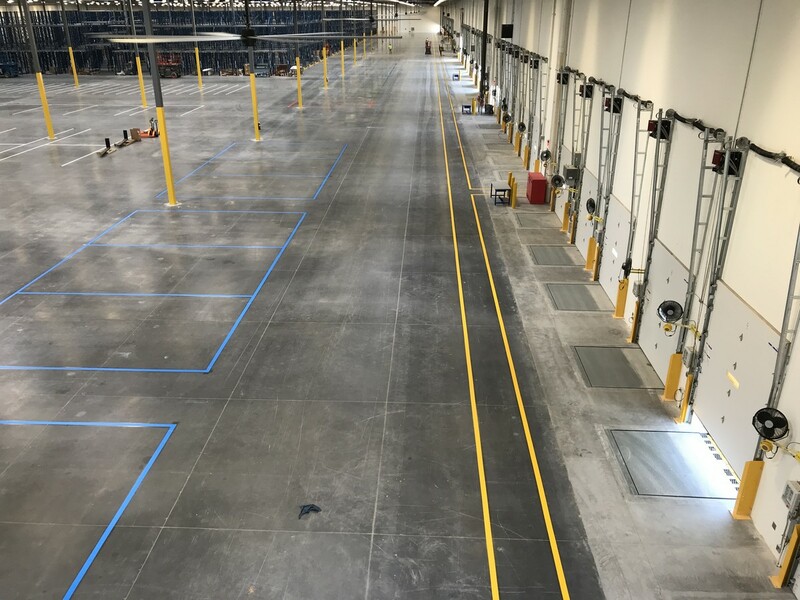 Our core services includes epoxy warehouse striping and shot blasting. Some of the benefits our customers have seen from our services are increased utilization, decreased material damage, employee safety, OSHA compliance, FDA compliance, in addition to better overall appearance. 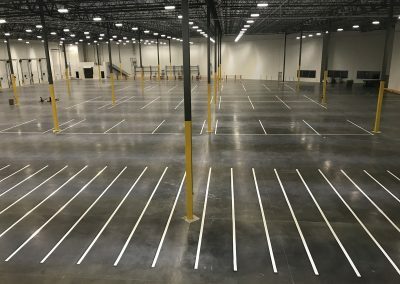 We are located in the San Francisco Bay Area, and provide warehouse striping in California, Nevada, Arizona, New Mexico, Texas, and other locations in the Western United States. 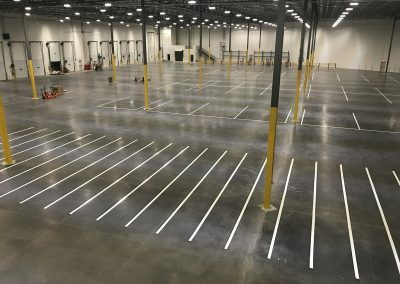 Let’s talk about your warehouse striping needs. 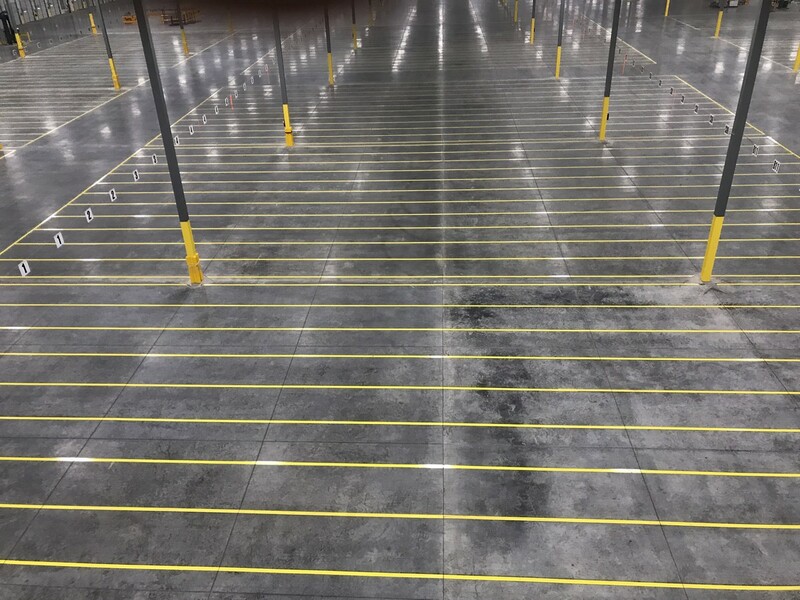 Please call 925.250.8920 or contact us today to learn more about warehouse striping & marking services.